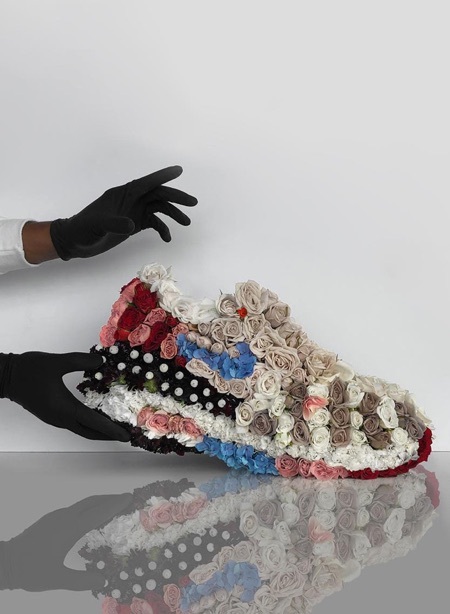 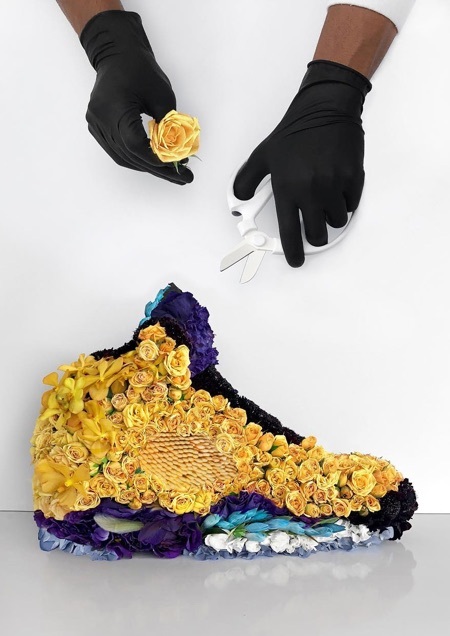 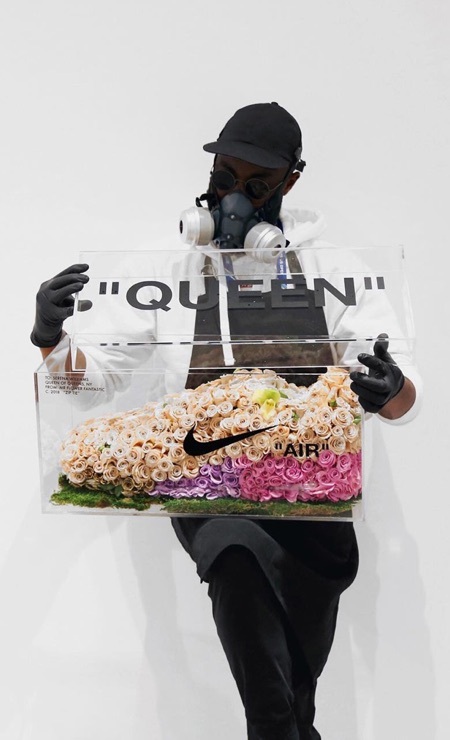 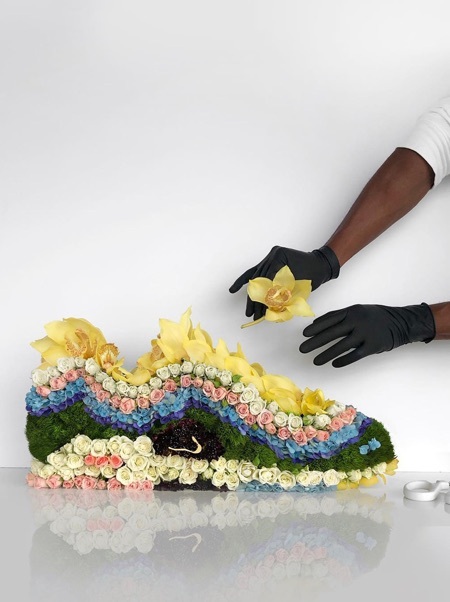 Beautiful sculptures of Nike shoes created out of colorful stacked flowers. 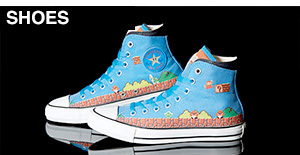 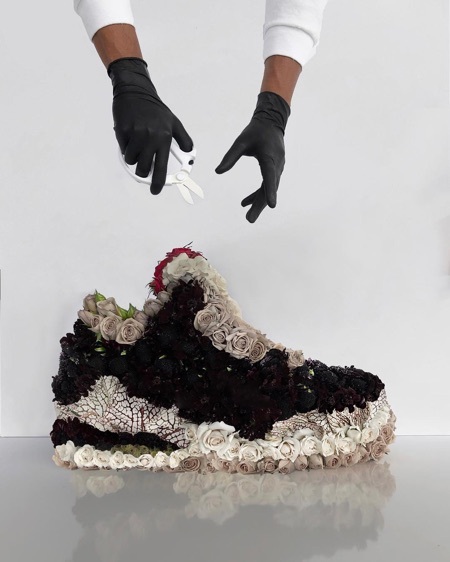 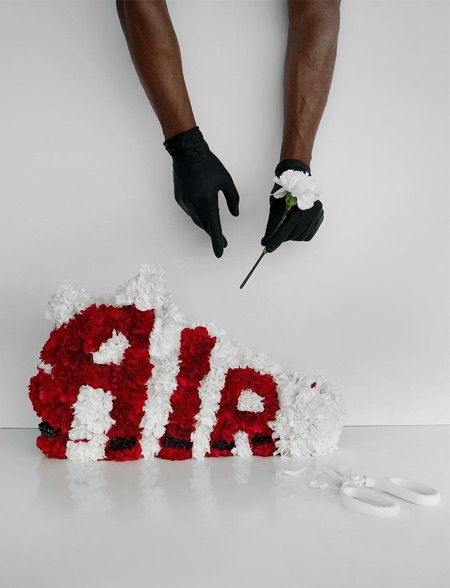 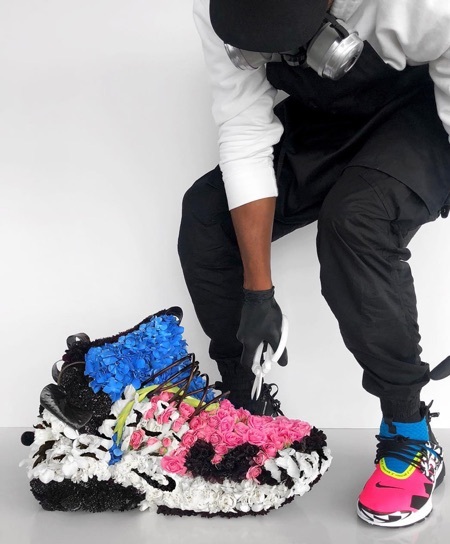 “Flower Shoes” by New York based artist Mr. 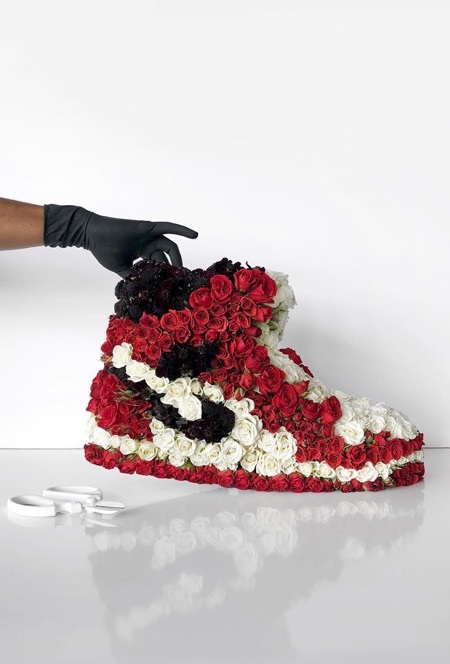 Flower Fantastic “MFF”.